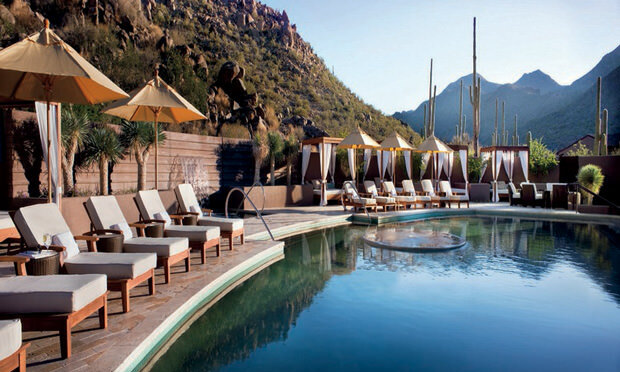 Reconnect and Escape in an Unforgettable Luxury Golf Destination at The Ritz-Carlton Dove Mountain in Beautiful Tucson, Arizona. 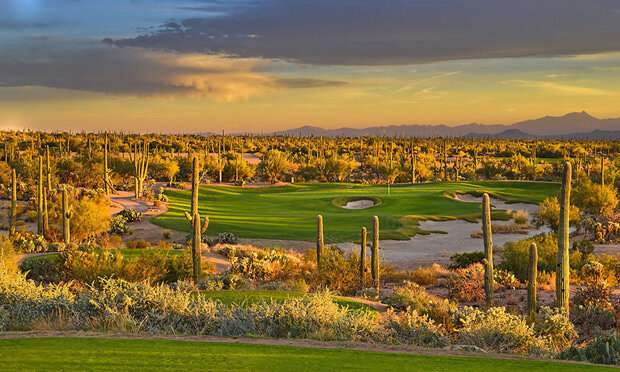 Legendary champion Jack Nicklaus took advantage of the High Sonoran Desert setting to integrate strategy, variety and fair shot values into his Signature Design Tucson golf resort’s landscape at The Golf Club at Dove Mountain. Nicklaus created 27 holes with unique challenges and distinct character. With elevations ranging from 2,300 to 3,200 feet, Nicklaus purposefully designed this luxury golf course to be challenging yet enjoyable to play, time and time again. This world-class golf resort also includes a pro shop featuring the finest equipment, apparel and accessories; expansive, tour-quality practice areas; and an award-winning clubhouse. Par 36 at 3,894 yards. Served as front nine for the Accenture Match Play Championship. Set against the backdrop of a majestic Saguaro cactus forest to the West. Par 36 at 3,955 yards. Course winds along the base of the Tortolita Mountains. Served as back nine for the Accenture Match Play Championship. Par-3 third hole marks the highest elevation of the course. Fifth through the eighth holes wander through a secluded canyon. Grassy hillside stadium setting surrounds the ninth green, ideal for matches that go the distance. Par 36 at 3,897 yards. 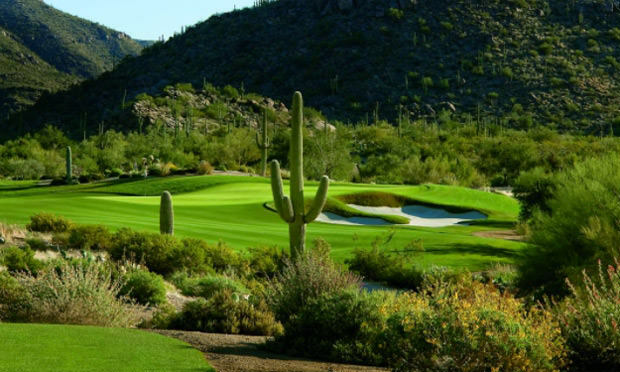 Jack Nicklaus’ favorite nine holes at Dove Mountain includes incredible vistas of the Tortolita Mountains highlight several points on the course. 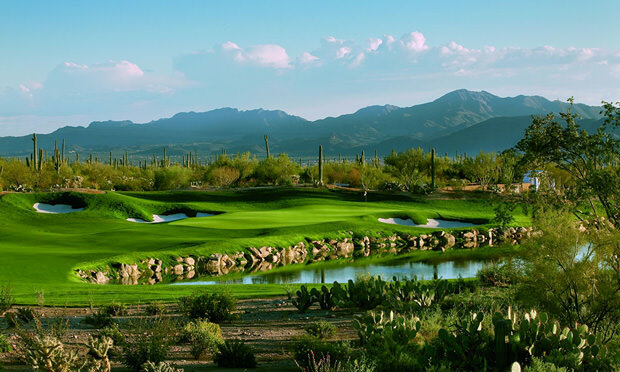 The fifth green includes a panoramic view of The Ritz-Carlton, Dove Mountain Resort.